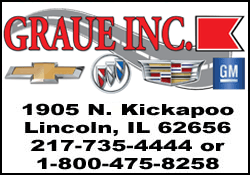 [May 10, 2017] LINCOLN - The West Lincoln Broadwell Student Council traveled to Springfield on Friday, April 28 to volunteer at the Ronald McDonald House. The 10 students made lunch for the families that are staying at the Ronald McDonald House while their child is a patient at St John’s Hospital. 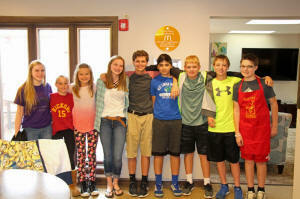 The 5th – 8th graders planned the menu at their Student Council meeting in March and decided which ingredients they would bring to prepare the lunch. The menu was tacos and taco salad with all of the fixings and brownies. The students under the supervision of Mrs. Miller, Student Council advisor as well as Mrs. Keller cooked the taco meat, diced the onions & tomatoes, baked the brownies & served the lunch buffet style. “This gave the students a great opportunity to volunteer for a place that has helped so many in Logan County and did an amazing job cooking the meal” said Shelly Miller, WLB Student Council Advisor. The Student Council also involved the West Lincoln Broadwell School family by collecting donations for the Ronald McDonald House Wish List and the Happy Wheels Hospitality Cart. The students also brought 79 pounds of pop tabs to donate. 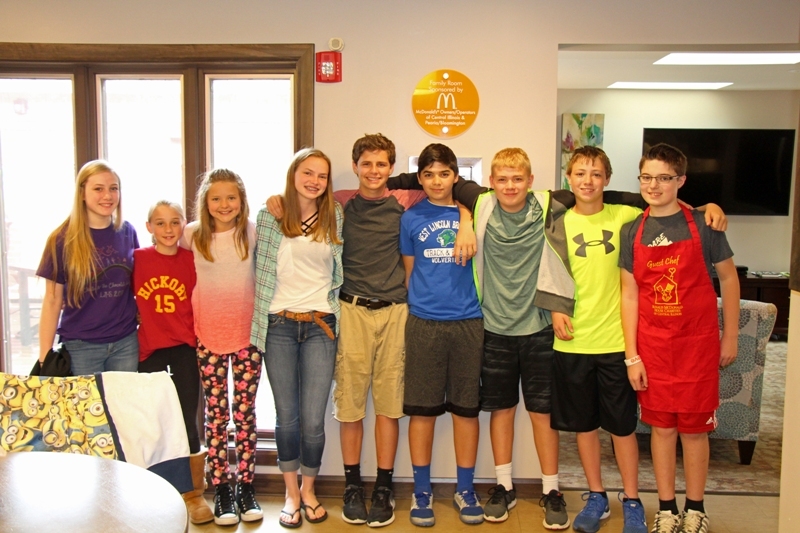 After the students prepared lunch, a volunteer gave a tour of the Ronald McDonald House. The house opened in February 1986 and today has 14 private bedrooms as well as a large living and dining common area to be a “home away from home” for their guests.